Michael Lampman built the hull of this 20' MacKenzie Boats rowing scull from Atlantic white cedar wood strips covered with epoxy. The trim is Honduras mahogany. The boat, which he named SOLITAIRE, weighs only 31 pounds. 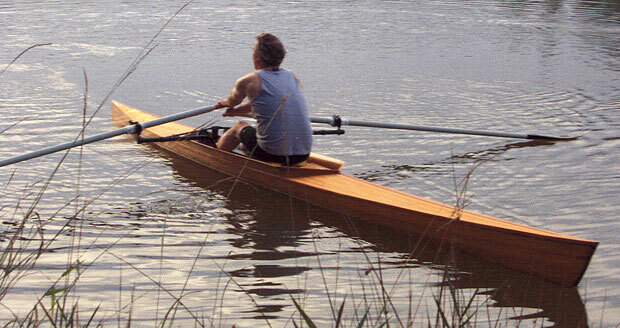 Michael uses his scull on the waters near Tallahassee, Florida.